Hushed and Holy • Run Hard. Rest Well. So often as I think of Christmas as a manic time of year. We clean the house until it sparkles. We put out decorations and set up and decorate a tree. We shop for gifts and a few extra’s, just in case. We bake cookies and make candy, buy eggnog, spiced apple cider, and hot chocolate, then we invite family and friends over. Do they see the work done? Do they admire our decorations and treats? What do they see? A haggard family? Jesus? A smiling mask? Ahh! 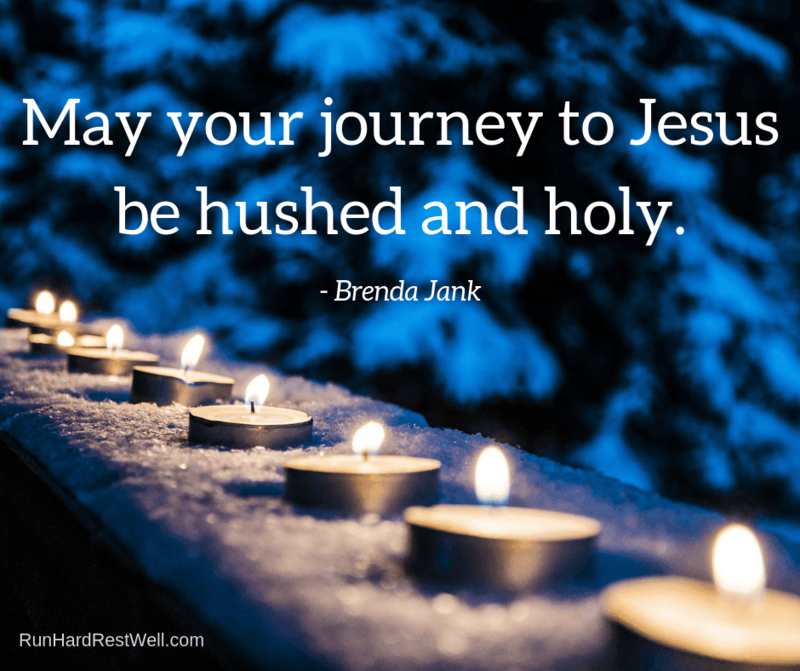 Hushed and holy! I pray we each and all seek and find the Savior this Christmas season. Powerful words for my heart today. What do they see? A haggard family? Jesus? A smiling mask? I see Him in you. Thank you, my friend!